Chief Master Sgt. 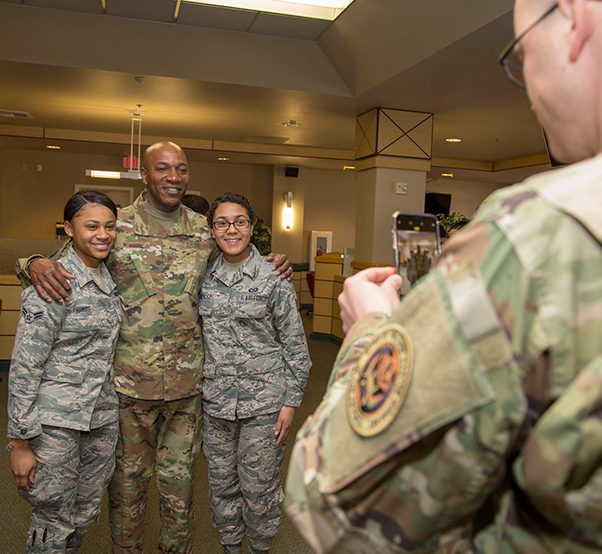 of the Air Force Kaleth O. Wright poses for a photo with Airman 1st Class Kyesha Thomas, 412th Security Forces Squadron (left), and Airman 1st Class Parris Gonzalez, U.S. Air Force Test Pilot School, at the Joshua Tree Inn Dining Facility, March 18, 2019. The Air Force’s top enlisted Airman received a two-day tour of Edwards Air Force Base. Chief Master Sgt. of the Air Force Kaleth O. Wright received a whirlwind tour of the Center of the Aerospace Testing Universe March 18-19. The highest ranking enlisted member in the Air Force got a firsthand look at almost every squadron and unit at Edwards Air Force Base, Calif. Wright visited with everyone from security forces defenders to testers at the F-35 Joint Operation Test Team, 418th Flight Test Squadron and 416th Flight Test Squadron. The chief and his traveling staff met with base leadership for a rundown of the 412th Test Wing and Air Force Test Center mission and along his two-day tour around base he met with the Edwards workforce and recognized outstanding Airmen with challenge coins from the highest level of the Air Force. 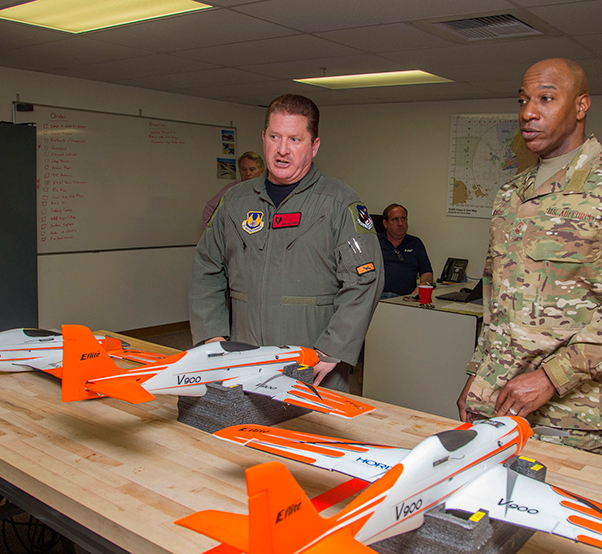 Anthony Accurso, 412th Test Wing Emerging Technologies Combined Test Force (left), discusses small unammed aircraft systems with Chief Master Sgt. of the Air Force Kaleth O. Wright, March 19, 2019. Wright is the 18th chief master sergeant appointed to the highest noncommissioned officer position. As CMSAF, Wright provides direction for the enlisted force and represents their interests, as appropriate, to the American public, and to those in all levels of government. He serves as the personal adviser to Gen. David Goldfein, U.S. Air Force chief of staff, and the secretary of the Air Force, Heather A. Wilson, on all issues regarding the welfare, readiness, morale, and proper utilization and progress of the enlisted force. Wright originally scheduled to visit Edwards late last year, but had to postpone his trip to visit Tyndall Air Force Base, Florida, to examine the damage there following Hurricane Michael. Chief Master Sgt. 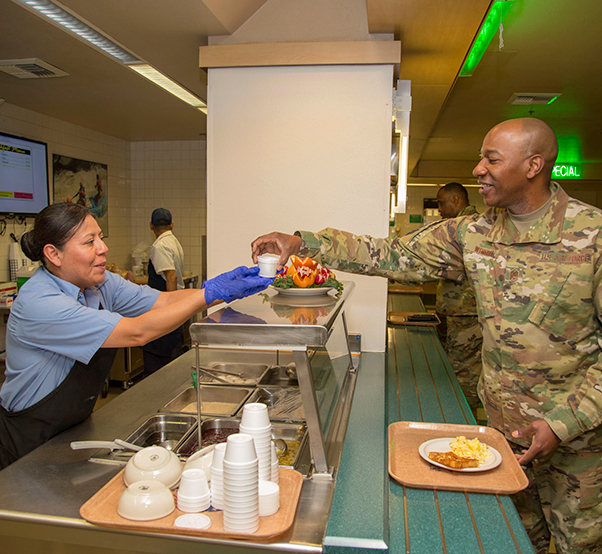 of the Air Force Kaleth O. Wright visits the Joshua Tree Inn Dining Facility March 18, 2019. 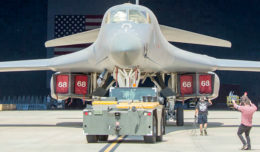 The Air Force’s top noncommissioned officer received a two-day tour of Edwards Air Force Base. After eventually landing at Edwards this past week, Wright said he was impressed by the base’s work ethic and the test mission’s goal of supporting the warfighter now and for the future. Chief Master Sgt. 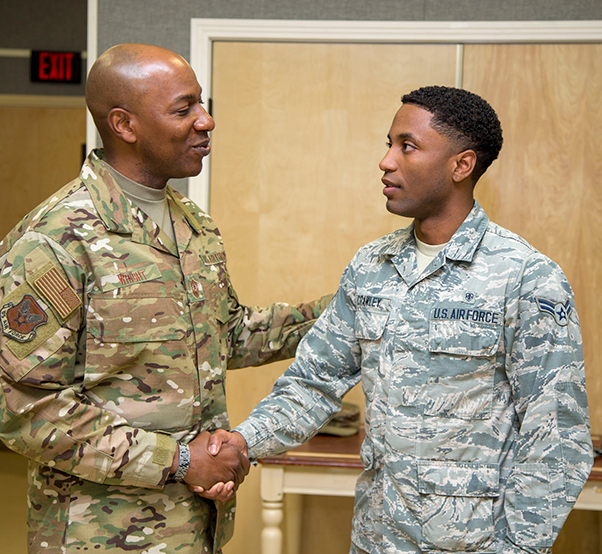 of the Air Force Kaleth O. Wright (left) presents a challenge coin for a job well done to Airman 1st Class Thierry Crawley, 412th Medical Group, Mental Health technician, March 19, 2019. Senior Master Sgt. Joshua Matias, 412th Operations Support Squadron (right), briefs Chief Master Sgt. 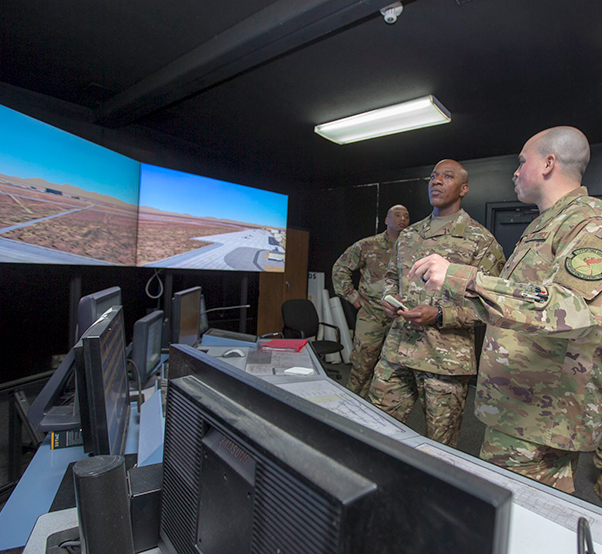 of the Air Force Kaleth O. Wright at the Edwards Air Force Base tower simulator used for training, March 19, 2019. Matias is a current Air Force 12 Outstanding Airmen of the Year awardee. 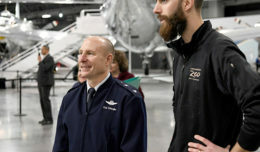 Wright received a two-day tour of Edwards Air Force Base. Chief Master Sgt. 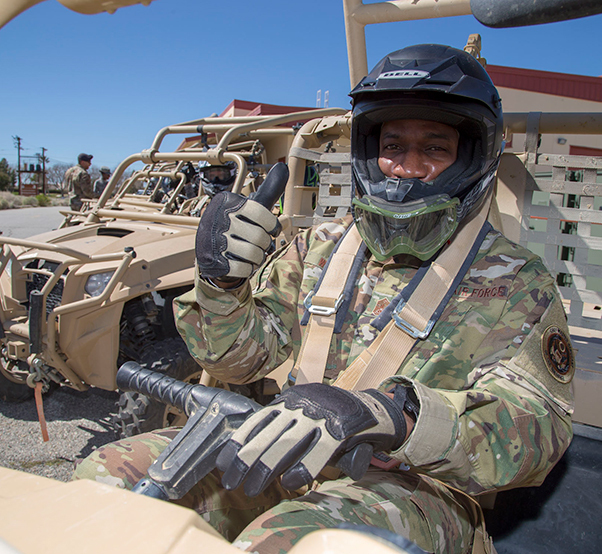 of the Air Force Kaleth O. Wright prepares to hit the off road with defenders of the 412th Security Forces Squadron, March 18, 2019. The Air Force’s top enlisted Airman received a two-day tour of Edwards Air Force Base.